Do you try to hide gaps when smiling for photos? Do you wish you could bite an apple or have similar chewing issues? According to studies by the British Dental Health Foundation 99.7% of people believe that a healthy smile is socially important with 74% of people thinking that having bad teeth or an incomplete smile can have a negative effect on your career. The confidence to smile on photos or order anything you like on a menu regardless of how much chewing is required can have a hugely positive effect on your life. As already mentioned, conventional bridgework often needs adjacent teeth to be harmed in order to have them placed. Adjacent teeth often need to be filed down in order to make space for the bridge to be made. This has two problems, you are removing sound, healthy tooth tissue, but also should anything go wrong with the bridge and you lose it, you may be left with a gap much bigger than the one you started with requiring more implants to treat therefore costing more in the long run. Another way dental implants can improve the health of remaining teeth is by taking some of the load when chewing. When you lose teeth and chew, all the force that would normally be spread amongst a full set of teeth focuses on the remaining teeth. This can cause teeth to wear, chip or fracture. By having teeth replaced his load is then redistributed evenly across all your teeth. The final way they may improve the health of remaining teeth is by getting rid of partial dentures. There are two types of denture, ones that are supported by teeth (metal partial dentures or flexible partial dentures) and ones that are supported by the gums (usually acrylic partial dentures). 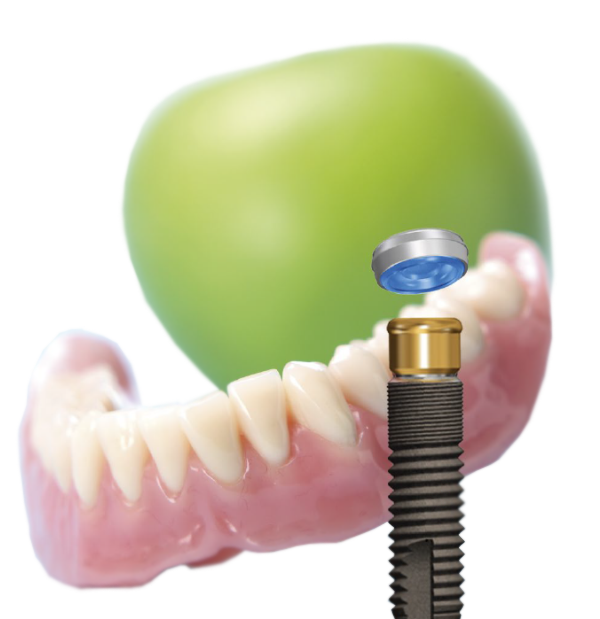 By removing the partial dentures you remove the strain from either the gums o the teeth. Assuming there is no change to your general health or habits the success rate (depending on the study you read) over 15 years is between 95% and 98% with the vast majority of implants lasting far longer than this. Studies unfortunately do not show accurate success rates over longer periods of time as the type and design of implant we use, which are currently showing the best results have not been in use long enough. Even within that 15 years, aspects of the design are constantly being ‘tweaked’ to improve the longevity of the implants. We will guarantee an implant for 2 years after placement providing you stick to the maintenance schedule prescribed by the Implantologist. Even after this, the implant company we use (Dentsply Implants) are so confident in their products that should a titanium component fail they will replace the component free of charge. 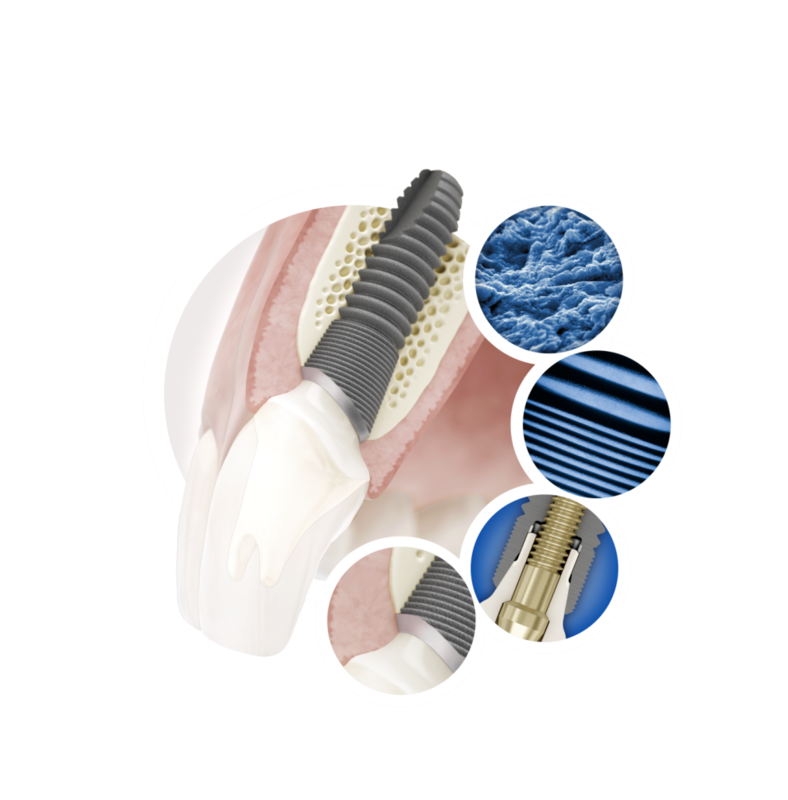 An implant is, in essence, a replacement for a root of a tooth. They are cylindrical in shape however tend to be much smaller (in both diameter and length) than tooth roots often making them much less traumatic to place than having a tooth out. They are made from titanium for robust strength and biocompatibility and because titanium allows ‘osseointegration’. This is the process where the implant surface bonds with the surrounding bone. 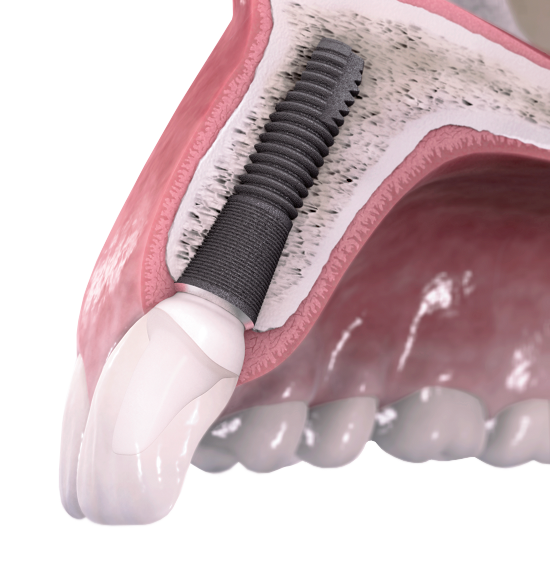 Put more simply when an implant is placed it is gently screwed into the bone. After a period of 3-6 months these cannot be unscrewed and are now part of you. This level of stability means that an implant will now function as a healthy tooth and can be used for eating and chewing. If you only have a single tooth missing this can be replaced with a single implant. If you have multiple teeth missing in a row you can often have multiple teeth placed on fewer implants by bridging the gap (see diagrams). If all of your teeth are missing, then you can either have implant retained overdentures or fixed structures that remain in place all the time. As there likely to be more than one option we offer free consultations so that you can come in and meet the team and find out exactly what your options are, what’s involved and the likely costs. As part of the planning process dental x-rays or 3D scans may be needed to ensure that implants are planned and placed safely in the correct position. When implants need to be placed near high risk structures such as nerves, or where the space is tight we can also offer CT guided placements. 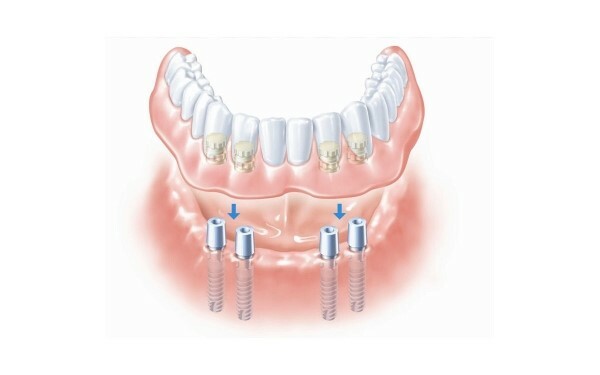 This involves precisely placing the implant digitally on a CT scan and then having a 3D printed ‘jig’ made that has corresponding drills with depth stops that allow the implant to be placed in exactly the same place as on the scan, vastly reducing the risk of problems with the implant. There are not many surgeons currently placing implants in this manner in the UK. No charge. We feel that you should have the opportunity to meet the implant dentist to discuss implants, your options and what’s involved without having to invest money. At this consultation please come with as many questions as you can think of written down o you don’t forget to ask anything. At this stage we will be able to give you an approximate idea of costs and time frames however this will be subject to dental x-rays or a 3D dental scan. These are taken at Beardwood hospital in Blackburn via referral from us and cost £160. These show precisely the amount and quality of the bone in the implant site and also surrounding structures such as nerves. Once we have this we will be able to give you an accurate costing for the treatment. We will also be able to discuss options should there not be enough bone such as grafting and sinus lifts. This is a titanium implant restored with a CADCAM abutment (post which is inserted into an implant that the crown rests on) and a crown (false tooth) placed on top. As mentioned above, should you have a few missing teeth in a row it may be that you can have multiple teeth on fewer implants reducing the cost per tooth. 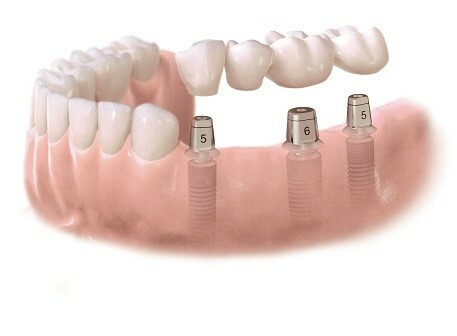 If you have lost three teeth in a row it may be that you can have two implants and a three tooth bridge placed on top. This costs £5000 rather than £2000/tooth as with single units. If you have lost four teeth in a row you may be able to have two implants and a four tooth bridge paced on top costing £6000 rather than £2000/tooth as with single units. 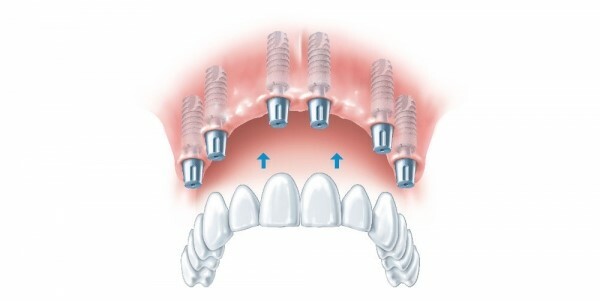 If you are missing all your teeth in an arch a minimum of four implants can be placed in the lower or 6 in the upper and you can have a titanium substructure with all your teeth attached. These can be fixed permanently and mean there is no more need for a denture. 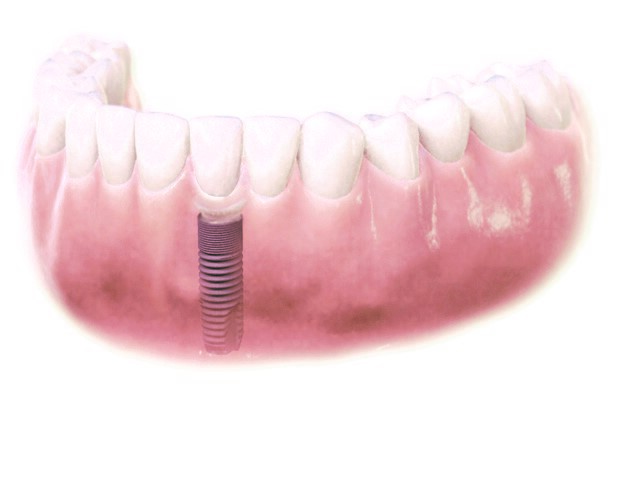 To stabilise a denture, it usually requires two implants in the lower and four in the upper. The price also includes a new chrome cobalt denture, custom designed with minimum coverage as it relies on the implants for retention.